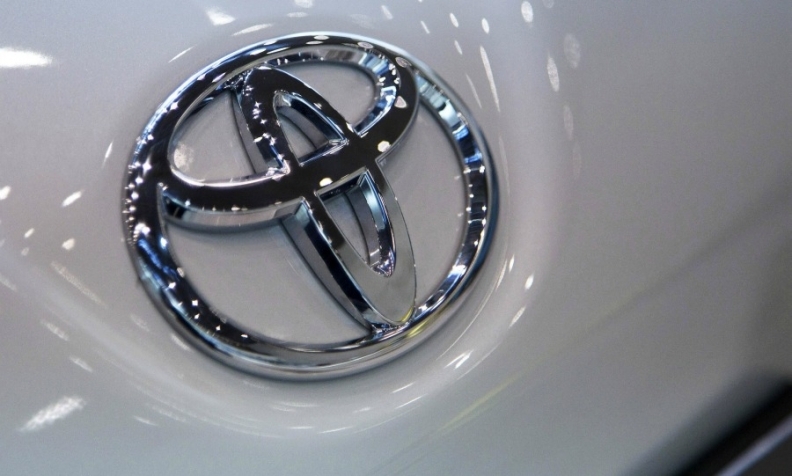 GUANGZHOU, China -- Toyota Motor will introduce electric vehicles in China starting in 2020 and is considering selling battery-powered models developed by its local partners under the Japanese marque as Beijing prepares to tighten environmental regulations. "To respond comprehensively to the expanding demand for EVs in China, we are considering having our joint-venture partners provide us with EVs," Hiroji Onishi, Toyota's head of China operations, said at a briefing at the auto show here on Friday. "We will also continue to develop every aspect of what China defines as new-energy vehicles, including plug-in hybrids and fuel-cell vehicles." Selling electric vehicles in China will mark the return of Toyota into the battery-powered vehicles market after halting production of the RAV4 EV in 2014. Toyota President Akio Toyoda said in September the company is a "little bit late" in the EV segment, even as rival automakers rush into the segment before China's cap-and-trade policy linked to zero- and low-emission vehicles kick in starting in 2019. To qualify for points under the proposal, vehicles need to be made locally. A Toyota spokeswoman declined to comment on where the EV and its parts will be produced. Japan's biggest automaker said it will expand a feasibility study for selling its Mirai fuel cell sedan in China to include commercial vehicles such as buses. The company will also introduce a pair of compact crossovers, the C-HR and IZOA, from the middle of next year, a key segment of the world's biggest auto market where Toyota currently offers no models. Daimler said at the Guangzhou show Friday that it will produce its first electric car in China in 2019. Volkswagen Group said Thursday at the event it will invest more than 10 billion euros ($12 billion) with its partners to develop a range of new-energy vehicles in the country. Last week, Ford said it will invest 5 billion yuan ($754 million) with a Chinese partner, while Honda Motor announced in September it would launch a China-specific EV in 2018. The addition of a compact crossover should give Toyota a boost in China, where it trails Japanese peers Nissan Motor and Honda even as sales at all three got help this year from troubles at Korean rival Hyundai Motor. Honda is challenging the leadership Nissan has held since 2009, partly on the success of the XR-V and Vezel small SUVs. Like other foreign automakers in China, Toyota provides slightly different versions of the same vehicle to its local JV partners to ensure they are equally supplied with the most popular models. The C-HR will be available with partner Guangzhou Automobile Group Co., while the IZOA will be offered with China FAW Group. Toyota introduced the C-HR in Japan and Europe in late 2016, and in the U.S. in April. Toyota's China sales in the first 10 months of this year totaled 1.07 million vehicles, compared with Honda's 1.16 million and Nissan's 1.17 million. Nissan on Friday said it's raising its full-year China sales target to 1.5 million vehicles.